We’ve worked hard to create everything you and your family need for the perfect holiday at Club MAC Alcudia. 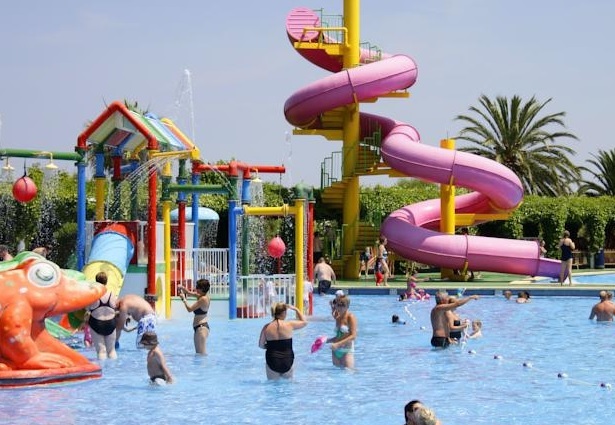 You could spend every day on our resort enjoying the wide range of activities, entertainment, swimming pools and sports we have on offer, but we know that plenty of you will be excited to explore the surrounding area of Alcudia and further afield. If you booked your holiday direct online with us, then head to Reception to find out more about excursions. Our team can help you choose the best travel options and the ideal days out. If you booked through TUI, then when you arrive, talk to your rep about booking excursions. The Hidropark is just opposite Club MAC and while you’re staying with us, you are entitled to use the water park free of charge. But for a change, there are plenty of things to do further afield. This day-long excursion will give the whole family plenty of time to enjoy the shows at Marineland and explore the rest of the attractions. Get up close and personal with dolphins for a lasting holiday memory and enjoy the parrot and exotic bird show. The site was completely refurbished in 2013 and there is lots on offer. Take a tour around the park and see the reptiles, penguins, tropical fish and flamingos. Visit the aviary and see dolphins through a special underwater viewer. There is also a self-service restaurant on site and direct access to the beach with showers. Just two minutes away from Portals marina, which is one of the fanciest ports in Majorca. The full-day includes a tour guide with all the information you need. Arrival is between 10 and 10.30am, and you return to the hotel between 4 and 4.20pm. Don’t forget to check out the special ‘mini park’ specially for smaller kids. A whole day a wild west themed water park is another very popular excursion from Club MAC. The most popular attractions at the park include The Beast, a ride with a vertical drop of more than 30m! Perfect for the brave among your party, there’s also the Boomerang, which is a massive 15m high half pipe. You can enjoy the drop alone or accompanied. There are loads of other things to enjoy including the MegaSlide, Wild River, and the Daky Park Children’s Paradise. It’s from 10am to 4.30pm, and please note that lunch isn’t included. You can organise a packed lunch if you wish (at an extra charge), just speak with reception and give them plenty of time. And don’t forget sun protection! This is a full day out taking in two different attractions – Palma city itself and the Palam Aquarium. Here you’ll find some of the most impressive sea creatures from all over the world. You’ll see the sharks that live in the deepest tank in Europe. ‘Big Blue’ holds 3.5 million litres of salt water. At 1pm you’ll be transferred to Palma city via a panoramic bus tour. You’ll see sites including the Paseo maritime, Jaime III y paseo dekl Borne and come to a stop just outside of the Cathedral. You and your family will then have three hours to explore the city and you’ll be dropped back at your hotel around 4pm.